Slater Bayliss is a partner in The Advocacy Group at Cardenas Partners, a political and government affairs firm which represents business organizations before the Florida Legislature and State agencies. The firm represents some of the most recognized and respected companies in the country, from Fortune 500 publicly traded industry leaders to small non-profit organizations. Mr. Bayliss has been involved in some of the Florida Legislature’s largest and most contentious issues including healthcare policy development and funding, economic development policy formation and funding, transportation policy development and funding and the increasingly complex landscape associated with amending Florida’s State Constitution. Mr. Bayliss, a member of the Florida Association of Professional Lobbyists, has been a registered lobbyist in the State of Florida since 2003. He currently represents, large and small businesses, private developers, health care companies, utilities, statewide associations and investment groups. Prior to joining the Advocacy Group, Mr. Bayliss was the Executive Director of Floridians for Responsible Spending. The political committee was successful in mounting Florida’s first statewide campaign to repeal a mandate from Florida’s State Constitution, resulting in state budget savings of an estimated $25 billion. 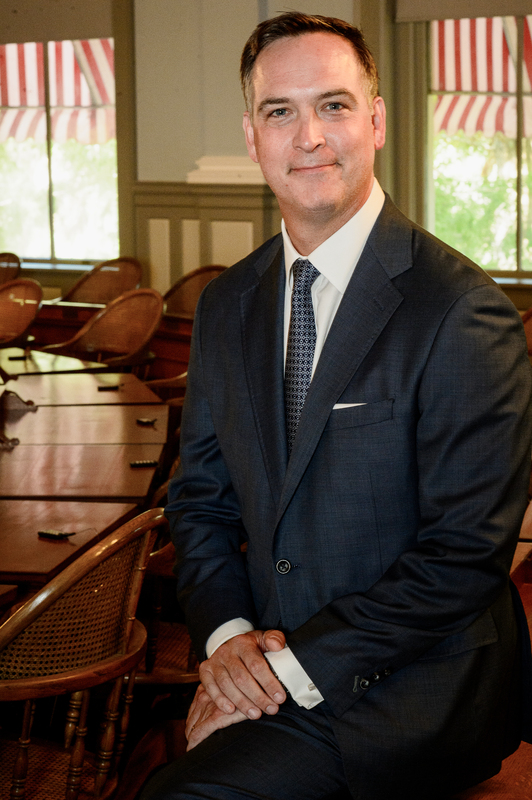 Previously, Mr. Bayliss served in Governor Jeb Bush’s administration where his portfolio consisted of Economic Development policy formation and implementation in the Governor’s Office of Tourism and Trade. Preceding that, he served as personal assistant to Governor Bush. In this role, he acted as the liaison between the Governor and the executive office, agency secretaries, members of the Florida Legislature and constituents. Preceding his tenure in the Governor Bush’s office, Mr. Bayliss functioned as special assistant to the Convention Manager for the 2000 Republican National Convention and in various political capacities for the Bush-Cheney Victory Effort. Mr. Bayliss also served as Deputy Policy Director on Jeb Bush’s 1998 gubernatorial race and on the political team for the George W. Bush Iowa straw poll effort in 1999. Mr. Bayliss began his political career with the Republican Governors’ Association in 1996. Mr. Bayliss earned a Bachelor’s Degree in Political Science and Communications from the University of Iowa. He later attended graduate school at Florida State University where he earned a Master’s Degree of Applied American Policy and Politics. He recently collaborated on a pair of books that analyzed Florida elections through multiple types of data and changes in voter registration and turnout over time while comparing the electoral behavior of groups in Florida to those of the nation as a whole. Mr. Bayliss currently serves as Florida Co-Chair of Maverick PAC, a political committee that promotes next generation leaders and the principles of personal and fiscal responsibility in public service. Additionally, Mr. Bayliss sits on the Board of the Florida Coalition for Capital, a partnership of leaders supporting economic development and job creation through long term access to capital for Florida’s entrepreneurs and emerging companies. Bayliss is also a member of the Board of Directors for Tree House of Tallahassee, a safe house where children who are victims of domestic abuse are given shelter, comfort and a sense of normalcy. Mr. Bayliss previously served two terms as gubernatorial appointee to the Board of Directors of the Florida Sports Foundation and served as the Chair of the Florida Sports Charitable Foundation, Inc. Bayliss also functioned as Director of Operations for Governor Jeb Bush’s Inaugural Committee and as Special Advisor to Governor Rick Scott’s Inaugural Committee. Moreover, Bayliss has raised monies for the U.S. Central Command Memorial Fund, Inc. and the Florida Hurricane Disaster Relief Fund. He and his wife, Sara, met as undergraduates the University of Iowa and now reside in Tallahassee. They are the proud parents of Brooks, Blair and Blake.